This giveaway is now closed. View the winner here! Thank you all so much for entering! Photo Card Creations is offering my readers a giveaway of 25 custom photo cards! The value of this giveaway is approximately $62 of chic designer cards, so it's a fabulous prize! Photo Card Creations is an upscale choice for your birth announcements, birthday or baby shower invitations, family holiday cards, and thank-you notes. They also specialize in wedding invitations, save-the-date cards, and thank-yous, if wedding bells are in your future! I was so pleased to be offered 15 free custom cards of my own so I could try out the site's functionality, test the turnaround time, and see the quality of the cards. The hard part, of course, as you'll be able see from the samples I'm scattering throughout this post, was choosing which sophisticated design! At the time I ordered them, we didn't yet have a new little one on the way (squee), so we thought some sort of holiday card would be a good choice. Anticipating some fabulous Christmas gifts for Mikko (so our family'd better step it up, huh? ), we settled on a full-bleed folded design that we could use as a thank-you card. We thought a colored photo would showcase the printing capabilities more clearly than a black-and-white, and I chose a linen finish to see how texture affected the printing. We put text on the front, inside, and back of the card, for good measure! Now, when I said the hard part was choosing which card … um, actually the hardest part was getting Mikko to pose for us! Sam had this great idea to have him popping up out of wrapping paper with a big smile — a sort of goofily festive image that suggests Christmas and gratitude. As you can see from the top photo, we did eventually get the shot. What you are not seeing is the hundred photos that led up to that moment. Including some of Sam demonstrating how it should be done! It was like shooting Calvin. Astonishing that we finally got this shot, no? And, yes, I know his hair was hilariously messy. But after all that, I wasn't going to redo the shoot! All right, sorry for that little detour. Back to the review! My experience with the website of PhotoCardCreations.com was overall very positive. I thought finding the category I wanted and selecting the type of card I was interested in was … well, I was going to say "easy," and of course it was hard to choose, but the navigation itself was easy! I appreciated the function along the sidebar that lets you narrow your search by style, such as flat cards, folded, no photos, multiple photos, etc. They have a "quick view" popup feature for each design so you don't have to click through to see it larger. And I really appreciated the feature at the bottom of each individual card's page title "you might also like …" that suggests similarly designed cards. You often have even more choice than the sample shows, because, as with my card, many designs can be turned either horizontally or vertically, depending on the picture you want to use. Once you decide on a design, it's time to personalize it, first with the text you want. There are several font choices. For us, we thought they were geared more toward weddings or formal announcements, because a lot of them were fancy. I actually did like a lot of the more script-y fonts, but they didn't work for a thank-you card from a child, so we chose one of the plainer options. Taking a cue from our previous thank-you card experience, we chose to pre-inscribe a basic thank-you message on the interior so we could fill in the blanks after the presents were opened, and then have Mikko sign and decorate. Ok, mostly decorate. After you choose your text, layout, envelope, and shipping options, it's time to submit your order, and only then do you email your photographs to be added in to the proof, which is emailed to you separately within several days. It took approximately four business days for my emailed proofs to arrive in my inbox, and the stated turnaround time is 1-3 business days. I'm much more used to being able to see an immediate onscreen proof, where I upload my photos manually and can adjust text and layout and cropping as I see fit before submitting the order. Then again, Sam and I have a graphic design background and are comfortable with that. The advantage to Photo Card Creation's hands-on system is that a graphic designer literally designs the card for you, so if you're not handy with uploading photos and arranging text, that can be a big benefit. For instance, the graphic designer will ensure your photos are at a high enough resolution to actually print properly, not just look good on a screen. They can also work with you to customize pretty much everything about the card, and keep mailing you proofs until you're satisfied. Even though it was a little nerve-wracking for me not to be able to lay it out my way, I can see how this system actually has a higher value for the one-on-one care you're receiving. When I received the proofs, everything looked basically fine. They'd fit my photo to the card size perfectly, cropping it to my specifications. The only thing I wasn't happy with was that the words "Thank you!" on the front were in black and being lost against the busy wrapping paper in the photograph. I wrote and asked if it could be changed to white, and they went one better by changing it to white outlined in black, so that the words popped a lot better. Getting the revised proofs was immediate, and I was able to approve my order. Our order shipped six business days from my approval by USPS Priority Mail, so I received it two days after that. All in all, it was a reasonable turnaround time for custom cards. Just be careful to start your holiday, invitation, or announcement planning with enough wiggle room for the custom printing, including revising the proofs if necessary. When the cards arrived, I was very happy with them. As I mentioned, the pictures I have of my cards are from my cell phone, but let me assure you the colors are bright and saturated and crisp. We chose the white linen finish, which gives it a lovely textured feel that, I think, makes it feel more custom and special than a card you could print yourself at home. The quality of the folding and edges is top-notch. The envelopes are included and work great. Now I just have to wait till Christmas! My family is going to love seeing Mikko's happy face popping out at them. You can order the same sort of cards we did, or choose from among the many, many designs at Photo Card Creations. I don't know how to say this without sounding snooty, but I really think their designs are a step above many of the other photo card sites, in that they're all undeniably stylish. I don't think you could go wrong with any of them. Prices start at $1.75 a card, so it is an investment, but it can be worth it for those special occasions. You can save more if you order in quantities over 100. You can fully customize any of the pre-made designs with your own photos and text and, for some cards, color scheme, or you can design your own card from scratch or work one-on-one with a graphic designer to create the perfect card for you! Photo Card Creations carries Birth Announcements, Wedding Invitations and Announcements, Graduation Cards, Birthday Party Invitations, Bar & Bat Mitzvah Invitations, Thank You Cards, and Holiday Cards. Before you order, feel free to request sample cards to get a feel for the quality, printing, and style. For your own chance to win 25 photo cards (an approximate $62 value) from Photo Card Creations, enter in the comments below! Contest is open to U.S. only. MAIN ENTRY: Visit Photo Card Creations and tell me what design you love! Subscribe to the Photo Card Creations blog. Leave a relevant comment on a Photo Card Creations blog post, and tell me what post you commented on. Tell me what you would use your cards for: holiday cards, birth announcements, save-the-date cards? Spill! Have a look around PhotoCardCreations.com, and tell me something you learned. Follow www.HoboMamaReviews.com publicly through Google Friend Connect, or subscribe to the Hobo Mama Reviews RSS feed in a reader or by email. Follow www.HoboMama.com through Google Friend Connect, or subscribe to the Hobo Mama RSS feed in a reader or by email. Follow Photo Card Creations at @PCC21 on Twitter and leave your Twitter name in the comment. Like Photo Card Creations on Facebook. Enter another of my current giveaways (1 extra entry per giveaway — check back for more). 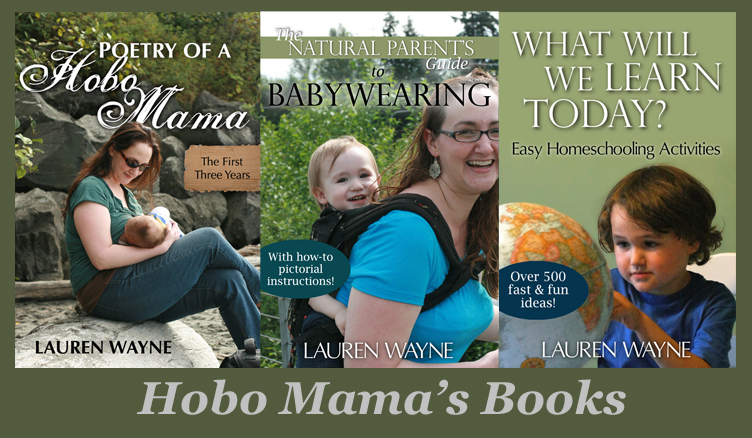 Put my Hobo Mama button on your website or add www.HoboMama.com to your text blogroll for 2 extra entries each. The HTML code is in the sidebar. Leave your site URL in the comment. Contest open to United States mailing addresses only. Contest closes October 26 at 11:59 p.m. PDT. Disclosure: Photo Card Creations sent me 15 free cards for review. I would get some cards made that were blank inside and use them as regular stationery. Love the Making Spirits Bright Flat Ornate Shaped Card for Christmas! These are ABSOLUTELY a step above other card places- thanks for sharing with us! I subscribe to hobo mama via RSS feed. I would use my cards for holiday cards I think... or maybe birth announcements?? I follow you on Twitter- @SuddnlyStyAtHme. I would definitely use them for Christmas! Flat or Folded Designer Card! Thanks so much! I like the Joyful Wishes folded card. Thanks! I would use these for Christmas cards. I follow HoboMama via Google Reader. Thanks! 4/I'm following you on Google Connect!! 5/I like you on Facebook! 7/I like Photo Card Creations on Facebook! I like the square quad card. Thanks!! I like the Square Quad Jigsaw Card ! I like the Square Triple Ornament card. I would definitely use this to get Holiday cards. I learned that if you order holiday cards by Oct 31st you can get 10% off. I like the square quad jigsaw folded card! Followed HMR through Google connect. This will be our baby's 1st holiday season, and we hope to win to send distant relatives photo cards this year! I'd love to win the square triple cards! I love all of the round holiday ornament cards! I'm subscribed to the Photo Card Creations blog. I would definitely use the cards for the holidays. I never send cards and this would be a great incentive to start! I learned that Photo Card Creations has an option for eco-friendly cardstock as a paper choice. How fantastic! I follow Hobo Mama Reviews via Google Friend Connect. I follow Hobo Mama via Google Friend Connect. I love the square quad jigsaw cards! what a great gift! I LOVE the Tree Trimmings card! just followed you on networked blogs! I'd use the making spirits bright for my Christmas cards! I like the "splendid flowers" thank you card design the best. I would use the cards to thank people for the wonderful housewarming presents my husband and I recently received. Visited the site, beautiful cards! I liked the Christmas card designs "Snowflake" and "Linen Cardstock" and Square Triple Ornament"! I would use the cards for my christmas cards I personalize them every year! Fingers crossed, would love to win!